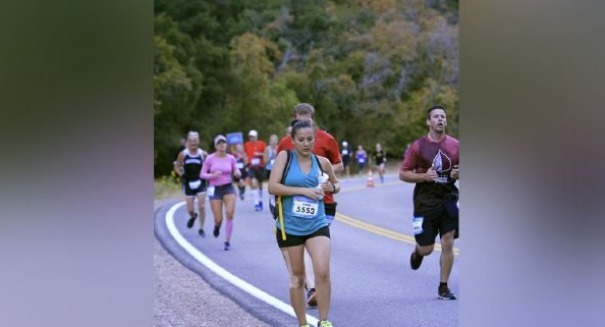 A photo of a Utah mom pumping while running a race has gone viral. Sometimes when you’re a mother, things just got to get done no matter what you’re doing. In the case of one Utah mother who was busy running half marathon, that involved bringing her breast pump. Anna Young, who has been running competitively ever since she was in school, wanted to run in the Revel Big Cottonwood Half Marathon, but she’d had an injury as well as a baby recently, according to a KSL.com report. But she wasn’t going to let that stop her, and she entered anyway despite having a baby girl not long ago. Young decided she wanted to run in the race to start to get back into shape after a long period of inactivity, so she decided to simply bring her breast pump with her. She started training with her young child by getting a jogging stroller and starting slowly. But as the race got closer, Young realized it would be difficult to run the full 13.1 miles because she was breastfeeding, so she brought her breast pump — and then she was captured in the photo above that went viral on Facebook, according to the KSL report. Young wasn’t aware that a race photographer had captured her, but she loved the image and shared it on the Occupy Breastfeeding Facebook page, where it blew up. As of Saturday, there had been more than 10,000 reactions to the photo and 1,800 shares.